‘A Grain of Wheat’ is a short but noticeable novel, having only a one main incident. It was come under South African Literature. It was written in 1967. It was written by Ngũgĩ wa Thiong'o. It contains some historical events in it. It was very firstly represented as events in this novel. It was also known as Kenyan novel, too. At very first we know that this is not that huge one novel. It is just short novel written in 1967. It was take place in Kenya and its main theme is also that. The whole story of ‘A Grain of Wheat’ is basis on Kenyan independence or Uhuru. Uhuru is an African word uses for freedom. So after only this single line we can reach to that point that this novel is having such story for freedom or to make oneself free from slavery or any other thing but freedom is the main and central idea of this novel. Freedom is the base of this novel. This novel starts with colonized country Kenya and its people. At that time Kenya was colonized by British Government and when the British colonizers come to Kenya, they strengthen their hold on the territory by building a great railroad. Waiyaki (native person) and other warrior leaders took up arms against this imposition, but they were defeated. Most Kenyans gradually learn to make accommodations with the new regime, though the seeds of revolution spread underground in “the Movement,” known to the British as Mau Mau. This is the movement plays vital role in the main story of this novel. The Mau Mau Uprising, also known as the Mau Mau Revolt, Mau Mau Rebellion or Kenya Emergency, was a military conflict that took place in Kenya between 1952 and 1960. It involved Kikuyu­dominated groups summarily called Mau Mau and elements of the British Army, the local Kenya Regiment mostly consisting of the British, auxiliaries and anti­Mau Mau Kikuyu. The capture of rebel leader Dedan Kimathi on 21 October 1956 signalled the ultimate defeat of Mau Mau, and essentially ended the British military campaign. The uprising created a rift between the European colonial community in Kenya and the metropole, but also resulted in violent divisions within the Kikuyu community. The financial cost of the uprising to the former colony amounted to £55 million. This is real incident which was narrated by author in this novel. In this novel main character Mugo was selected to give speech on Uhuru day and it was after this Mau Mau Movement. Mugo is the main protagonist of this novel and a loner who became a hero after leading a hunger strike in a British concentration camp and trying to stop a village guard from beating a pregnant woman to death. Although he is thought to be a hero throughout the whole book, he is the traitor who betrayed Kihika to the British in the hope of collecting a reward. Kihika is another noticeable character in this novel. He was betrayed by Mugo but he is the real heroic character of this novel. He is a resistance fighter who conquered a police station and killed the hated District Officer Robson. He was caught and hanged after being betrayed by Mugo. Gikinyo is a character who disappears from the novel for long time but then even he is one of most important character. He is so much ambitious person and a carpenter. He married to a girl named Mumbi. He confessed to taking the oath of the resistance while in a concentration camp, securing an early release only to find that his wife had borne a child with his hated rival Karanja while he was away. Mumbi is the most beautiful girl of that area. She was Kihika’s sister and Gikonyo’s wife. When Gikonyo was arrested, she slept with Karanja and also having child. Karanja was appointed as village chief by the colonial power. He was also a collaborator with the British and widely suspected to be the traitor. John Thompson was an early British settler and administrator of Thabai, who believes in the ideals of colonial imperialism and persecutes black Africans. Among the younger generation are Gikonyo, a well­known carpenter in the village of Thabai, and Mumbi, his wife and one of the most beautiful women in the area. Kihika and Gikonyo are togather in fight against British Government. They listen as one of their peers, Kihika, speak before a large crowd and encourage guerrilla warfare against the British. They try to motivate people for Uhuru and their speeches are also creating some fire among the people. Mugo also listens, but, unlike Gikonyo and Mumbi, he hates what Kihika says. Mugo thinks native Kenyans have no chance of successfully opposing the British, and he decides to do his job quietly and succeed in the new order of things. He felt jealous with Kihika and Gikonyo because of their work and he even not believe on that that they their self has a power and position but he use to felt that they can only get success with British government only. So he decided to be with them only and so he betrays his own people for power, success and ambition. Karanja, who unsuccessfully pursued the hand of Mumbi, feels even more strongly that the best policy is to accept the British as invincible. So he becomes member of British Company and becomes most powerful person in the village. Before long, Kihika disappears into the forest with many other young men who arm themselves. A year later, their most successful raid is the capture of the Mahee police post; This infuriates the British. They declare a state of emergency and imprison many of the young men of Thabai, including Gikonyo. Even Mugo is arrested for intervening when a woman is being beaten. Despite the efforts by the British to quell the Kenyan resistance, the violence continues, and District Officer Thomas Robson is assassinated. Mugo is taken to Rira camp, where John Thompson is the warden. Though Mugo respects the British, in these circumstances he feels unjustly accused and refuses to cooperate. He begins to get a reputation among the other detainees as an inspiration to courage. Mugo does nothing to justify their hopes, but he does feel vague and grandiose religious impulses and begins to see himself as a possible messiah for his people. Finally, there is an uprising in which Mugo plays no part, and twenty­one prisoners are killed. When Gikonyo was arrested and imprisoned, his wife, Mumbi slept with Karanja. In his eagerness to return to his wife, betrays his oath and returns home, only to find Mumbi nursing a child which cannot possibly be his. The child is actually Karanja's. Karanja was a home­guard chief and Mumbi had only succumbed to him when she heard Gikonyo had been released. As a result, Gikonyo ignores her and focuses on money­ making activities. Meanwhile, Karanja fears for his life, not least because he is suspected of having betrayed Kihika. There is also a white district officer, John Thompson, who is having trouble talking to his wife, Margery, particularly about an incident involving a woman colleague's treatment of Karanja. This novel and whole story of it is little bit difficult and different from any other novel or any predecessors’ books but it is reality and it generates real thing in person’s mind. Some common elements like hunger of power, love, betray and etc. also can see in this novel. When colonization is main part of the novel then it was next to turn into Decolonization. But Decolonization always comes with violence. Decolonization is a violent event. Decolonization is quite simply the substitution of one "species" of mankind by another. The substitution is unconditional, absolute, total, and seamless. Decolonization, which sets out to change the order of the world, is clearly the agenda for total disorder. It is also known as historical movement. Individual’s betrayals are representative of the vast betrayal of the whole society by its power elite. Karanja was more powerful and in power position so, Mumbi betrays Gikonyo when he was imprisoned and slept with Karanja and also having child, too. Mugo betrays the whole village with his idea and because of it only some people were caught by British people. He was the person who betrays the entire village, so it is also known as one of main theme of this novel. We can find example of love marriage of Gikonyo and Mumbi in this novel and even if we think in platonic way then we can realizes that every person of this novel is in love with Uhuru, self-freedom and nativism. They want to fight for their native land and want to see their self-free from British Colonization, so Love is also noticeable theme of ‘A Grain of Wheat’. 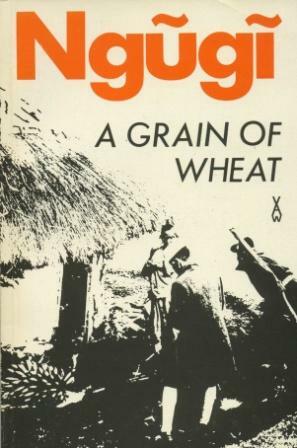 There is no doubt that it is one of most important themes of this novel ‘A Grain of Wheat’. This novel is starts with only ‘Mau Mau Movement’ so it is very well known patriotic movement for self-right and native country and land so it leads us towards patriotic atmosphere and intention. A Grain of Wheat is the third and best known novel written by Ngugi wa Thiong'o from Kenya. It weaves several stories together during the state of emergency in Kenya's struggle for independence (1952–1959), focusing on the quiet Mugo, whose life is ruled by a dark secret. 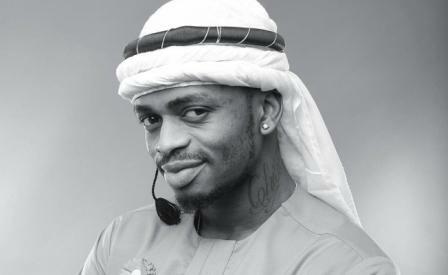 The plot revolves around his home village's preparations for Kenya's Independence Day celebration (Uhuru day). Former resistance fighters General R and Koinandu plan on publically executing the traitor who betrayed Kihika (a heroic resistance fighter hailing from the village) on that day. This book is very different from its predecessor. There is no one main character, but several. Though they interact, they each have their own issues and deal with them in different ways. And, though the African/British divide is still there, it is not a key. Rather the key theme, which is certainly suggested in his two previous novels, is how the past affects the main characters and how they can move on to a new future. It is clearly a much superior novel to its rather simple predecessors and has become a classic of African Literature.